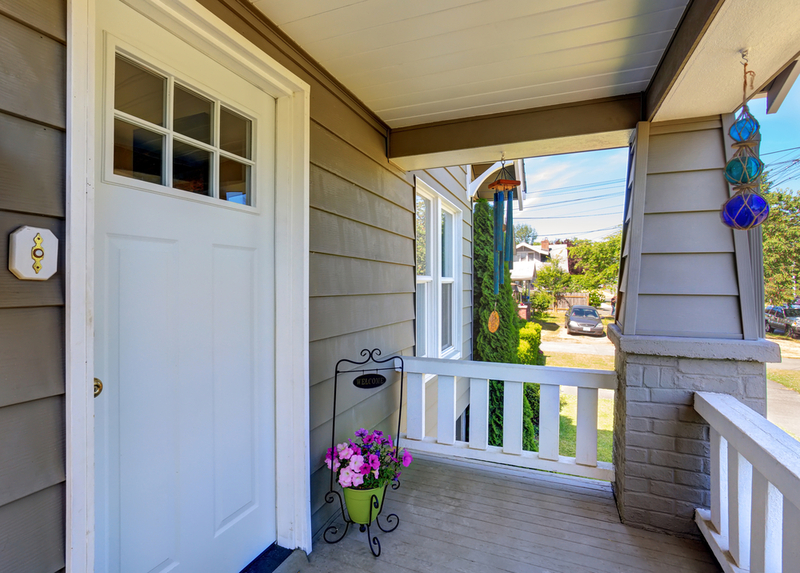 Generally speaking, homeowners start to consider installing a new entry door when the current one is warped, chipped, or broken. In the greater Cincinnati, OH, area, locals depend on Murphy Home Improvement for both remodeling and entry door installation needs. While the obvious benefit of a new front door is security, there are additional benefits you’ll enjoy once installed. Maintaining comfortable temperatures inside your home makes it a pleasant place to live. In the winter, heat escapes primarily through windows and doors—in summer, cold air does the same. When you install a new entry door, you’ll enjoy increased insulation, successfully trapping temperature-controlled air inside and keeping unwanted air outside. With a new door that offers better insulation, you’ll notice significant savings on your utility bills. When it’s time for a new entry door, take advantage of the opportunity to increase the beauty of your home! Try installing a door with a pop of color or one that includes windows to let in a little more sunlight. With the right door, your home can increase its curb appeal—this is especially beneficial if you’re planning on selling your home in the near future. When you have an old door, entering and exiting your home can be frustrating. You might have to jiggle the handle or use a bit of extra force to get your door to open and close. The door might not always close correctly the first time either, creating a hazard for pets and small children when you’re home and a security risk when you’re away. When you have a new door, you can look into new and innovative security options as opposed to traditional keys, like keypad entry. If you live in the greater Cincinnati, OH, area, and you’re looking for remodeling assistance from a trusted local contractor, call Murphy Home Improvement today at (513) 922-8989 for a work estimate. To find out more about their selection of entry doors and the many benefits of installation, check out their website.